Be sure and check out the annual King Cake Festival held at Champions Square. This FREE festival is a delicious way to sample the culture of Mardi Gras and New Orleans. Bring the family and spend the day listening to live music and tasting some of the city's most talked about king cakes. Come early and kick off the festival by participating in the Gladiator Games which consists of a stroller fun run and a 2.5 mile fitness challenge. Burn a few calories so you can sample as much king cake as you want! Do you like king cake so much, you want to show it to the world? Well, t-shirts, hats, pins, posters and more will be available for purchase. 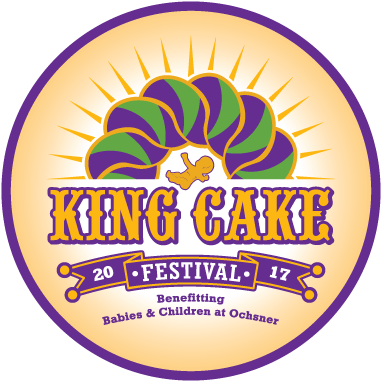 The best part about this festival is that by purchasing tickets to sample the king cakes, you will be benefitting the children at Ochsner Children's Hospital. Celebrate Carnival Season by visiting the King Cake Festival!